Take your living room to next-level cozy with our top picks for plush poufs. 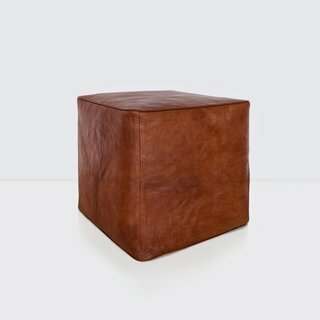 Poufs are petite pieces that instantly upgrade the cozy factor of any room. 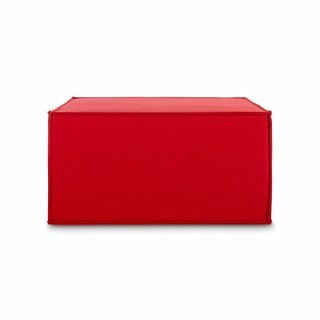 The small cushioned ottomans can provide extra seating in a snap, or you can top them with trays to hold drinks or dishes. 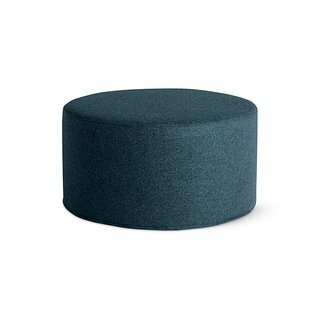 We’ve rounded up our favorite poufs that will instantly upgrade your indoor and outdoor lounge areas. To pouf or not to pouf? 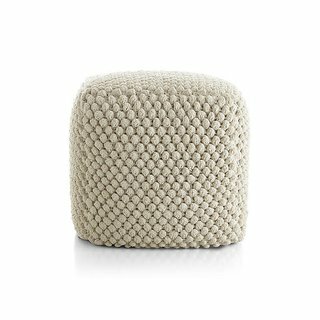 It’s easy to jump on the Ottoman trend with the Chandra Contemporary Cotton Cord Pouf. Hand knit on the outside and cotton-filled on the inside, it’s the extra seat for an unexpected guest or an ideal footrest for an evening spent blissfully alone on the sofa with the remote. 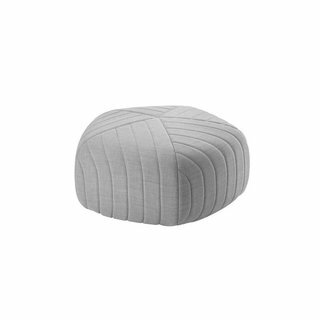 The Muuto Five Pouf is designed by Anderssen & Voll. Careful detailing with the use of quilted material has given Five Pouf the combination of both a linear profile and soft-curved edges, making it very versatile and easily adaptable to multiple settings. 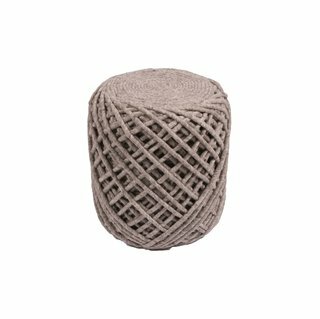 Lend a dash of style to your living room or entryway with this Eaton Wool Spiral Pouf, perfect for kicking your feet up or offering impromptu seating. 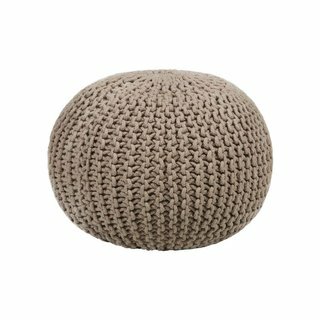 All-weather polypropylene brings family-room casual to the patio in a contemporary, hand-crocheted outdoor pouf, perfect for comfortable, informal seating. Big, soft and ready to be put to use. This French seamed factotum is bursting with multi-purpose opportunity for the living room, play room, office or reception spaces. 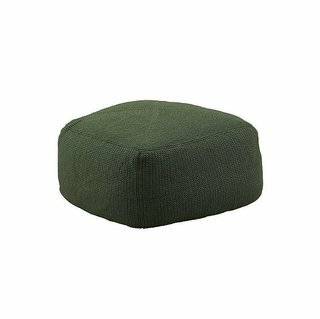 Ultra-femme velvet ottoman with a rounded silhouette featuring tucked seaming for a ruched look. 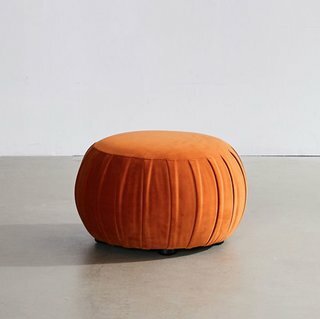 Curving pouf features a flat base and cushioned form, upholstered allover in rich, plush velvet. 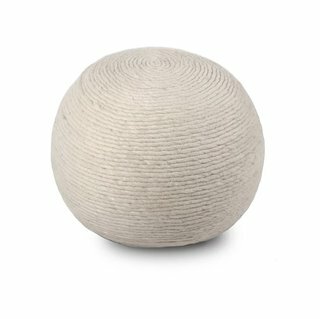 Loaded with texture, this neutral-colored pouf compliments any room with its chunky attitude. 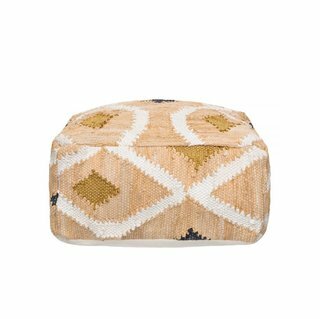 Ideal for casual seating, as an ottoman or decorative accent, the cover is handwoven by skilled artisans in India. 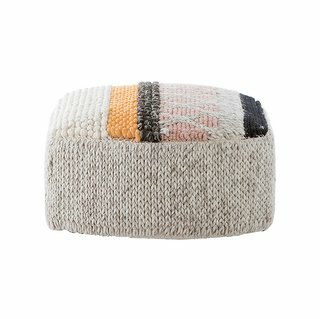 The textured patchwork that tops the Mangas Pouf by Patricia Urquiola was originally introduced as a rug; this fuller, cushier incarnation is as comfy under heel as underfoot. 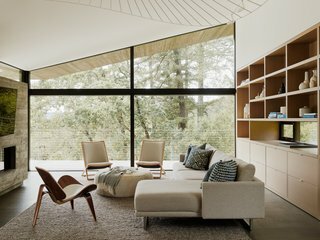 Organic wool fibers are woven in a richly textured seat that blends artisan technique with modern—and playful—functionality. A modern take on traditional West African indigo. 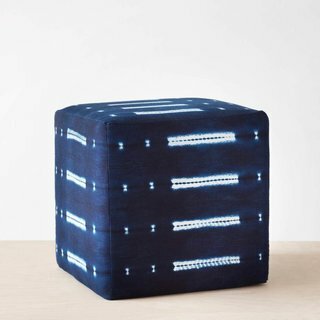 Crafted from finely spun organic cotton and hand-dyed in a richly saturated hue, this indigo ottoman brings a global, bohemian vibe to any space. This piece is handcrafted by a fair-trade workshop in Bamako. With the fine weave of its cover and plush fill, the Cane-line Divine Footstool really lives up to its name. The cover is weather-resistant selected polypropylene that is painstakingly crocheted by hand. 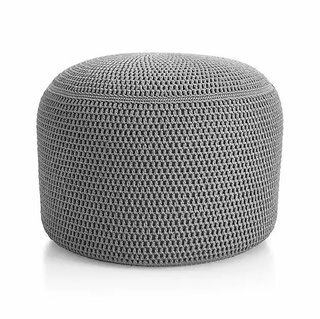 This cylindrical pouf serves as a striking art object while doubling as a convenient ottoman, footrest or cushioned stool. 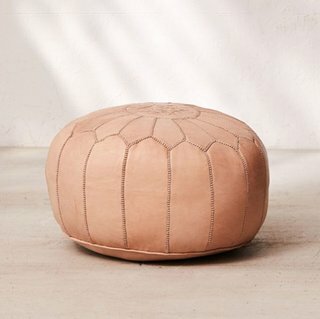 A modern take on the traditional Moroccan pouf.